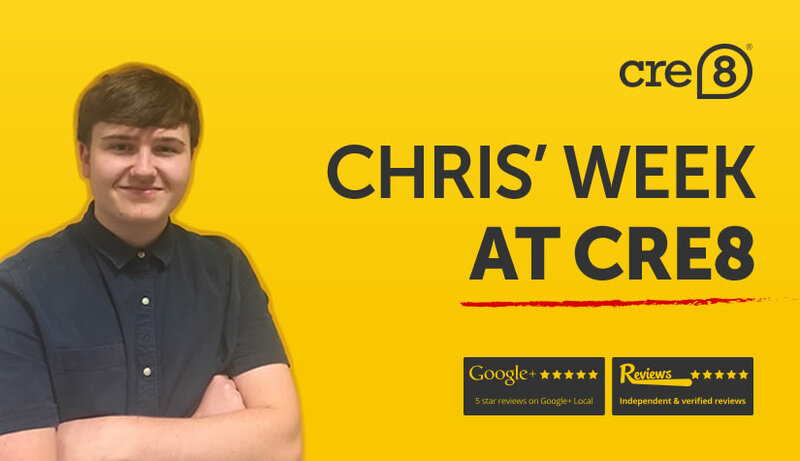 We asked Chris to write a blog to tell us a bit about his time with us. Here are his thoughts! My week at CRE8 has been a very fun and rewarding experience! My week under Vicki, Paul and the rest of the team has been really enjoyable. Of course when coming into a place of work with people I am not familiar with, it can be kind of nerve wracking but it didn’t last for long due to everyone being so nice! After settling in, I had discussions with Vicki about the services CRE8 provides for its clients and the importance of branding and marketing in business. Learning about brand values was very useful. One of my first jobs was looking into the services CRE8 has provided for schools and organisations in education. After this, I was put to work looking at websites of schools all across the local area, critiquing their current websites and identifying what the team here could provide to benefit that school. In my chats with Paul and Vicki I had been told about their project with Omnium. In the office, I was tasked with designing a map for Omnium’s office in Abu Dhabi. Nathan was great in teaching me how to use the Adobe Illustrator programme. I really enjoyed designing the map using programmes and doing practical work. Getting to produce a piece of content was so much fun and it also helped me to improve my digital skills. Throughout the week I got to know the team more. I frequently spoke to Jordan, Jonathan and Nathan throughout, looking at the skills they have and what they provide for the team and CRE8’s clients. They were all so great in having the patience to show me what they were working on. Overall, my time under Vicki and Paul has given me the experience of a working environment, which is what I wanted, and it also taught me some skills that are very valuable. If you’re interested in a career in marketing then I don’t know a better place to start than CRE8! Thanks to Paul for the opportunity and the team for their hospitality!